Is the Sedition Act 1948 (Act 15) really an alien creature that understanding it seems so difficult? Time and again Malaysians (and some very interested foreigners) continue to debate and argue the relevance of the continued existence of the Sedition Act. The latest turn of events has sparked yet another form of debate when ‘the darling princess of Malaysian politics’, Nurul Izzah Anwar was arrested for a speech she delivered in Parliament on 11 March 2015. Her speech allegedly contained seditious remarks as therein she had supposedly questioned the Federal Court’s decision to affirm the Court of Appeal’s conviction and sentence of the opposition leader, Datuk Seri Anwar Ibrahim. The legal basis for the arrest is very straightforward. Section 3(1)(c) provides that a seditious tendency includes bringing hatred and contempt towards or to excite disaffection against the administration of justice in Malaysia or in any state. As she had impugned the Federal Court judges deciding in Dato’ Seri Anwar Ibrahim’s case, her remarks can be considered seditious. Yes, the Sedition Act does not only protect our Royalty, Malay Rights, Orang Asal and National Language, but it’s also protects the administration of justice, which means the judicial body itself. 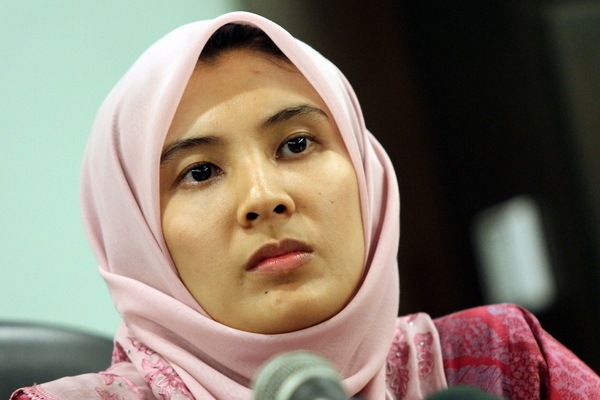 Although Nurul Izzah delivered the speech in Parliament, the remarks touch on the subject matter that is specifically exempted from parliamentary privilege, which is enshrined under Article 63(4) of the Federal Constitution and Sections 3 and 8 of the Houses of Parliament (Privileges and Powers) Ordinance 1952. The exemption is stated under Clause (4) of Article 63 which expressly provides that any person charged for an offence under the Sedition Act is not protected by parliamentary privileges. Plain and simple. It is prudent to note that in the 1982 case of Mark Koding, the Federal Court had deliberated on the issue of parliamentary privilege with regard to offences under the Sedition Act and decided that a member of parliament’s right of free speech in Parliament has been validly limited by Clause (4) of Article 63. There are many interpretations on the application of parliamentary privilege vis-a-vis the validity of the Sedition Act. However, one interpretation that has been put fourth comes to mind. Certain lawyers were quoted in the report by the Malay Mail Online titled “Parliamentary privilege no shield against sedition law” dated 17 March 2015 questioning the validity of the aforesaid arrest pursuant to the Sedition Act by reason that the offending speech is covered by parliamentary privilege. This statement, standing alone is not amazing. It only becomes amusing when one of the senior lawyers proffered a view that the parliamentary privilege stands and protects Nurul Izzah’s speech because the amendment to Section 3 of the Sedition Act is repealed by the abolition of the Emergency (Essential Powers) Ordinance No. 45, 1970. This view is completely incorrect as in subsection 30(2) of the Interpretation Acts 1948 and 1967, it is clearly stated that the abolition of an amending law will not affect the amended law. Therefore, the repeal of the Emergency (Essential Powers) Ordinance No.45, 1970 cannot have the effect of repealing any amendment effected by it in the Sedition Act 1948. To recap what we have stated above, Nurul Izzah is arrested and investigated for an alleged offence under the Sedition Act 1948. She may be arrested under Section 3(1)(c) for making remarks against the judiciary. Although such remarks are made in a parliamentary proceeding, she is not entitled to any parliamentary privileges as her arrest is done under the purview of the Sedition Act. Putting it bluntly, the basis for the arrest is simple and as clear as can be. There is really no need to spin and misdirect the public by misinterpreting the law. Let the relevant authorities complete their investigation and determine whether there is a basis to charge Nurul Izzah pursuant to the Act. After all, we wouldn’t want anyone else to accuse us of obstructing the cause of justice, would we? March 20, 2015 in Perlembagaan Persekutuan.